The yearly sea ice minimum extent is almost upon us, which has recently been the seasonal signal for excitable biologists and their activist groupies to resume their breathless rants about what sea ice loss could mean for polar bears. Never mind that the summer minimum extent reached in September, no matter how low it goes, is pretty much irrelevant to polar bear health and survival. As I’ve discussed before, what’s really important is the presence of not-too-thick ice during the spring, so they can catch lots of young seals and put on lots of fat. But to a lesser degree, the extent at mid-to-late summer is important because this is when pregnant females that prefer to make their maternity dens on shore are looking for good places to spend the winter. 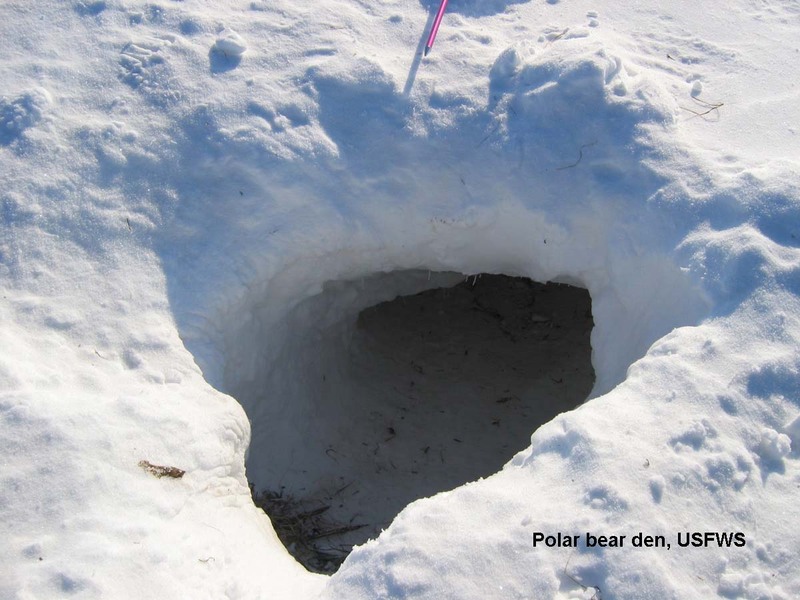 So the topic for today is this: how much does the extent of ice at the height of summer dictate where polar bear females make their winter dens?